Avocado, as we all know, is a super food. 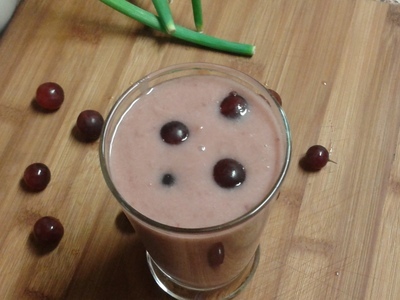 When mixed with grapes, it is yummy and delicious. Perfect for kids, especially in summer. Peel, pit and slice the avocado. Boil water in a bowl. 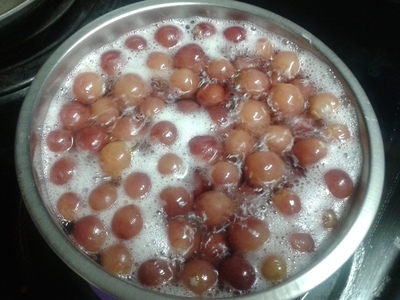 When water starts to boil, add the grapes. Cover and cook for 5 minutes. The water will turn red. 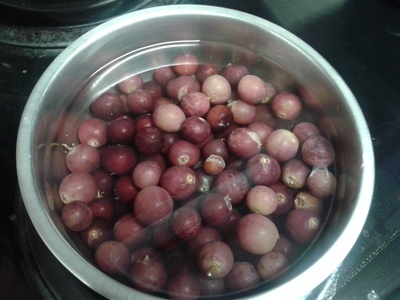 (Concord grapes will give a rich purple color). Switch off the heat, cover and let it cool. If we want chilled juice, keep in the refrigerator after the temperature lowers. 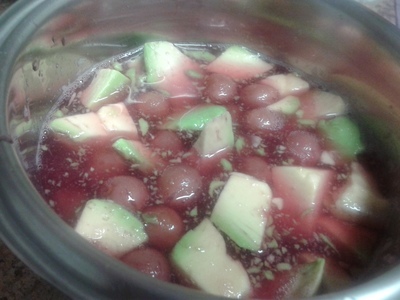 Put the grapes along with red water in the blender when it is cool. Add the avocado and sugar. Blend well.